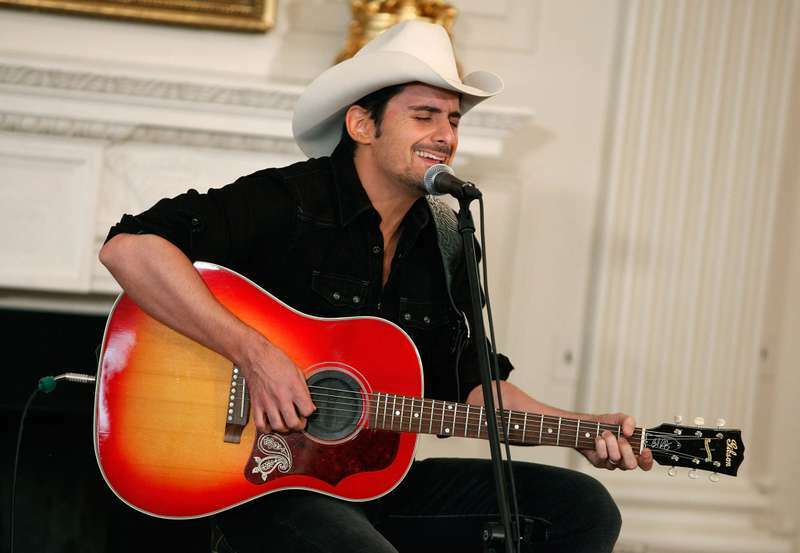 Brad Paisley, the American country music singer and songwriter, has recently revealed his hidden talent to the public. It turned out that he is skilled not only in music but in art as well. It is not a secret that Brad is a big fan of Nashville Predators, but this time, his support of the team went beyond all expectations. In cooperation with NHL and the management of Predators, he created a very special place for his favorite team. Together with the Bridgestone Arena, Brad painted one of the walls of arena. The mural was created in such a way to show both the love for country music as well as the Predators. But Brad was not the only celebrity who participated in this process. Along with him, the popular guitar painter and Nashville resident Rob Hendon did his part of the job. It took them more than five hours to finish everything. Brad has revealed that he used only a photo as a reference to paint the logo of Nashville Predators. The team members will definitely appreciate the hard work that was done by these two men. Overall, they have painted several Nashville Predators logos, the skyline of Nashville, two guitars, and oversized catfish. Brad has really surprised everybody by this action. Nobody could imagine that he is a talented painter. What do you think about Brad's work? Please, share your thoughts with us.